Capitalizing on our skilled manpower and enormous industry experience, we endeavor to mark our prominence by offering finest quality Oriental Carpets. With intricate designs and attractive patterns, these products have gained a high demand in the international market. Dealing with huge array of oriental carperts & rugs is yet another area of specilization. You can find unbelievable array of endless carpet collection at exciting price ranges. No matter what size and choice of colour you need, we have it all at exclusive ranges. We offer carpets based on your specifications and budgets. 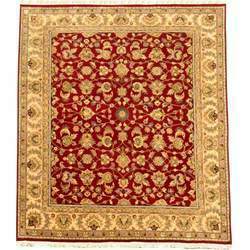 We offer wide range of carpet like oriental carpet like oriental carpet, woollen carpet and many more. 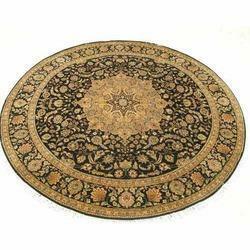 Our organization is competent to offer Oriental Carpet in various patterns. Experts make these carpets by employing advanced techniques and best grade input which is bought from reliable seller of market. Our offered carpets are highly used owing to their optimum quality and attractive patterns. We offer oriental carpets in various colors & patterns. These are designed by experienced designers thus providing them an elegant & classy look thus enhancing the interiors décor. Our company offers these carpets as per the specifications described by bulk buyers at reasonable price. Item Code: Abla Rug The strikingly beautiful and intricately detailed designs in our collection of wall hanging carpets has carved a niche. The exceptional quality of the silk translates intricate patterns into works of Kashmir art. These beauties are timeless yet luxurious. Mostly found in soft floral designs, they can add subtlety or grandeur to your room with rich colors like rust, maroon, cream, blue and so on. Woven through intricacies and finesse, oriental carpets have set the benchmark when it comes to quality and raw materials. Flavours of South East Asia now come alive at The Orient, a speciality restaurant by Ambuja Neotia Group. Located in the heart of New Town and Raichak On Ganges , The Orient offers cuisine from all over South East Asia, from Thailand, Singapore, China, Vietnam to Japan, Indonesia, Malaysia and Taiwan.